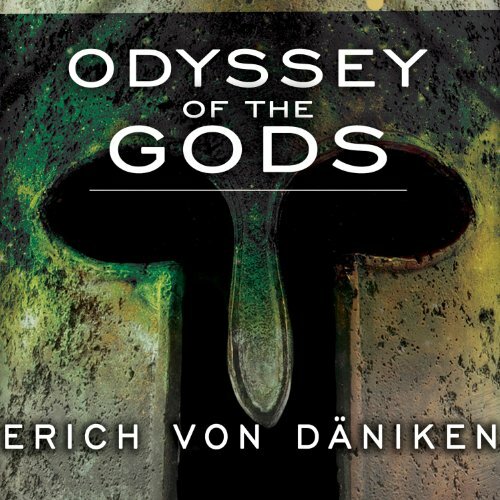 Legendary UFO expert Erich von Daniken stirs up another controversy with an imaginative supposition: What if the myths of ancient Greece were attempts to describe events that really happened? What if ancient peoples were visited, not by imaginary gods and goddesses, but by extraterrestrial beings who arrived on earth thousands of years ago? 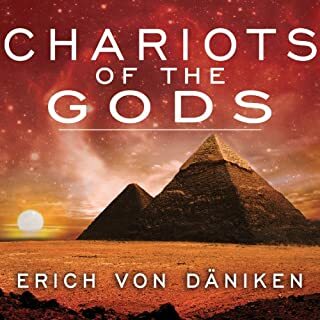 The author's research into both ancient mythology and current archaeological discoveries leads him to some explosive hypotheses. He suggests that the best explanation of such creatures as centaurs and Cyclops, as well as stories about the lost continent of Atlantis and wars among the deities, may be efforts by artists of the times to record never-before-seen phenomena. Dozens of ancient sculptures and temple decorations, von Daniken points out, look surprisingly similar to equipment used by today's astronauts. Could these be long-lost secrets, being rediscovered by scientists today? I need Scary Hair Guy from the History Channel to say it for me: "Aliens!" 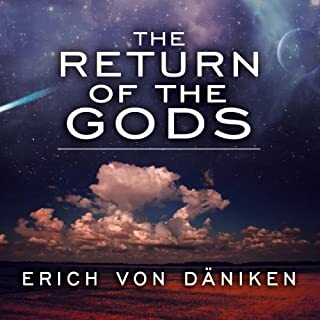 Let's face it, there are several different ways to approach the work of Erich von Daniken. You can accept his Ancient Astronauts theory hook, line, and sinker, in which case this (being his 32nd book) is a classic case of preaching to the converted. You can dismiss it completely out of hand... in which case, why are bothering? Or you can marvel at the fact that, regardless of what you think about von Daniken's conclusions, the man is digging up research and drawing connective lines between literature, philosophy, and archaeology that the pros of the field are ignoring time and again simply because they're afraid it'll spot their reputation to be, well, lumped in with this guy. In some cases these lines are rock solid, but often they are tenuous at best, which is why the pros won't go near it. On the other hand, it's just fun to connect the dots anyway. As one who loves all of these fields and has none of the alphabet soup behind my name to back it up, I love the "what if" factor involved, which is why I keep coming back to von Daniken. Whether or not you believe aliens were around thousands of years ago, the evidence this man digs up tells you that SOMEONE was there, and that someone was advanced beyond the stone age. And that's really the point as I see it. Draw your own conclusions, and always remember... Galileo and Copernicus were considered screwballs in their own times too. 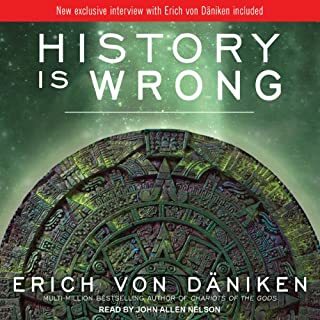 Historians say "No way," and von Daniken says "Aliens!" Somewhere in the middle lies the truth, but in the words of the great Sherlock Holmes, "When you eliminate the impossible, whatever remains - however improbable - must be the truth." Feel free to look up the evidence he's discussing for yourself, keep your mind open enough to listen to the facts he's presenting, but not so open as to have your brains leak out all over the floor. From there, just have fun with it and see where your creative side takes you. The narrator for this does a fine job. 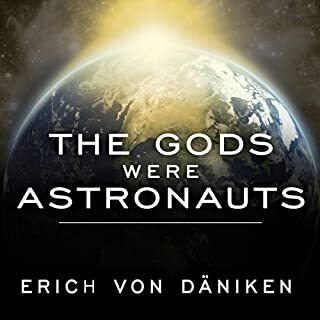 My only complaint is that for a book like this I would have preferred von Daniken himself to read his work... well, just because. I have no reason other than his enthusiasm for this stuff is infectuous. What did you love best about Odyssey of the Gods? What was one of the most memorable moments of Odyssey of the Gods? The topology of Greece . The retelling of Greek mythology. Greek mythology for modern times. Narrator was awesome! The mythology based background is great. Highly recommend it. get it now. 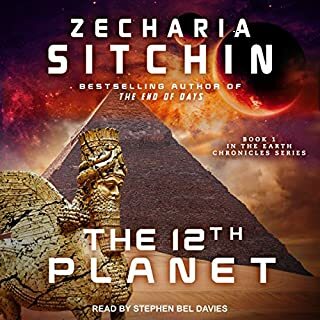 The narration was the only good thing about this audiobook. Disappointment. I was expecting silly theories but this is just outright stupid. It doesn't so much as jump to conclusion but rather begin with a conclusion and work backwards looking for "evidence". When none is found, it gets made up. I invite the reader to do their own 5 minute research before purchasing. Erich has done it again. Well researched and information provided is of a good spectrum of multiple books and manuscripts. 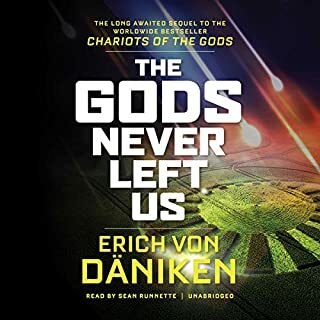 I would like to have understood the connection between this book and Greek mythology or history as it should be known, there are a lot of greek names and family trees which I would have to see a family tree for. I love Erich's interpretations of these texts and adds his twist on things to better explain to the lay person.